Technology is booming there is nothing new there. Everyone has a smartphone and has integrated it into their daily lives. For many smartphone users music and fitness are important parts of how they use their smartphone. So naturally headphones have accompanied smart phones like the iPhone and have continued to develop especially in ergonomic design. So what is the next step for head phones? Naturally it is wireless which again is nothing new. I have had multiple pairs of wireless headphones over the years and continue to replace then as needed. But they have certainly not been the majority favor as they are expensive and pairing I think represented a hassle to most people. Well not anymore apparently. 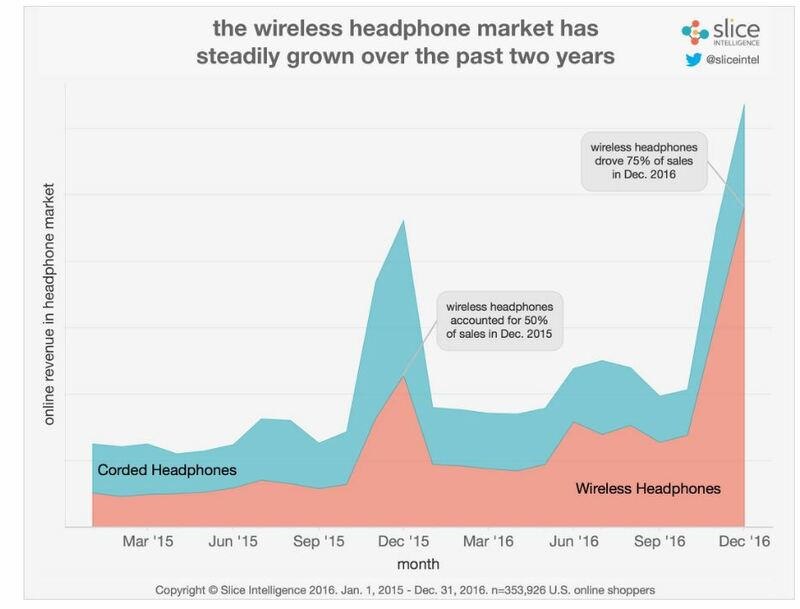 According to Slice Intelligence wireless headphones represented 50% of head phone sales in December 2015. In December 2016 that percentage soared to 75% of all headphone sales! Even more shocking is what is driving those sales. Apple. 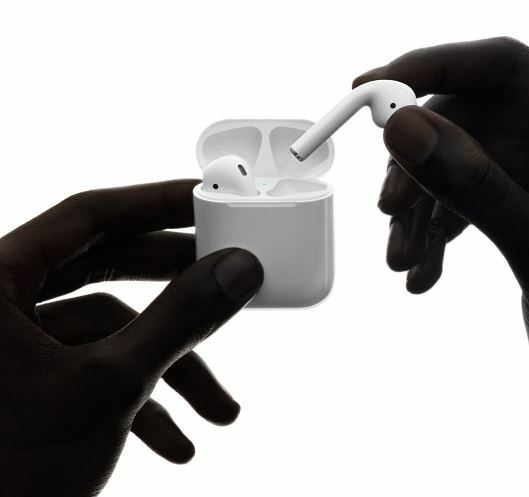 The new Apple AirPods after the launch represented 28% of wireless headphone sales and also drove the single biggest wireless headphone sales day on it’s Launch! 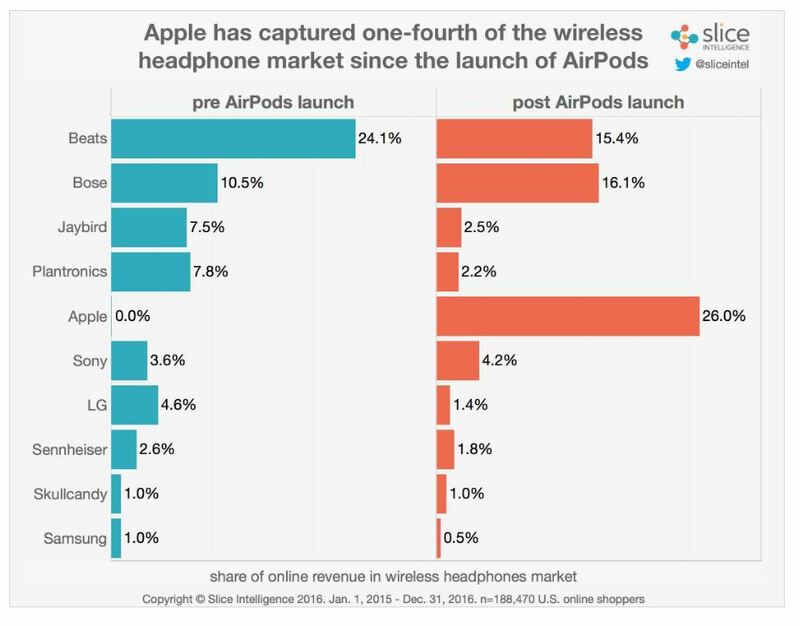 Before the Apple AirPods were launched, Apple owned and industry leader Beats represented 24.1% of all wireless headphone sales. After the launch of the Apple AirPods sales Beats wireless headphone sales dropped to just over 15% as the AirPods once again captured 28% of market sales. Apple thinks of it’s AirPods as “Wireless. Effortless” and hold on, wait for it: “Magical”. Apparently so as they made quite the sales impact on launch day. This is pretty surprising to me as even the Apple fan boys questioned the AirPods staying in place as they just place in the ear and are not connected to each other in anyway or have ear loops to secure them to your ear. So the concern I was hearing was that they would fall out and get lost. So what does magical cost you ask? Well Apple is pretty proud of the AirPods and they will set you back a cool $160.00 at the Apple Store. So what are you down with? Apple AirPods or Wireless Beats? Previous articleLED Kitchen Backsplash is Epic Coolness! I picked up a pair o JayBird X2’s off of Amazon for $80 right before the X3’s came out and I love them. Something about the AirPod’s that I just don’t trust to stay in my ears. I never like the included headphones that Apple includes with their devices. And these X2’s stay perfectly in my ears and sound really great. So I’ll pass on these.